The 1796 election was one for the history books. The new nation was on edge, uncertain how the first transfer of power would go. George Washington had faithfully served the nation for many decades. In more ways than one, his gravitas and personal charisma were what had held the nation together against all odds. While he could have easily won a third term, Washington instead opted to bow out after just two—thereby establishing a precedent that was followed by every other President (excluding Franklin D. Roosevelt), and was later codified in the 22nd Amendment. 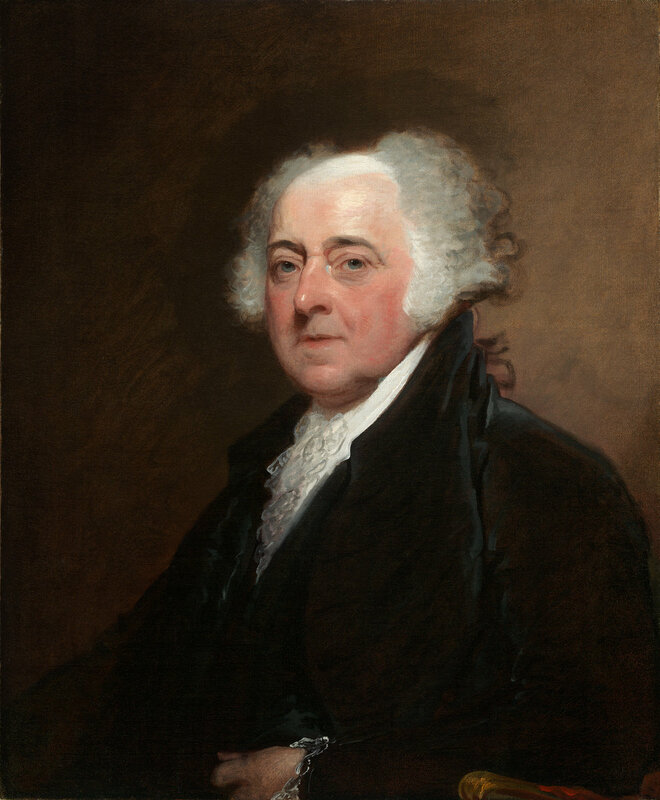 The results were the election of two Revolutionary giants: Vice President John Adams to the presidency, and former Secretary of State Thomas Jefferson to the vice presidency. In your solitary hours, my dear daughter, you will have a delightful opportunity of attending to the education of your children, to give them a taste and attachment to study, and to books. A taste for science and literature, added to a turn for business, never can fail of success in life. Without learning, nothing very great can ever be accomplished in the way of business. But not only a thirst for knowledge should be excited, and a taste for letters be cultivated, but prudence, patience, justice, temperance, resolution, modesty, and self-cultivation, should be recommended to them as early as possible. The command of their passions, the restraint of their appetites, reverence for superiors, especially parents, a veneration for religion, morals, and good conduct. On February 24, Adams wrote Abigail (his wife) that the First Presbyterian Church in Philadelphia (then the location of the national capital) “have voted me the front pew in their church for my family. It is an elegant new building and the pew is large.” Adams had accepted the kind offer. [I]f a love of virtuous men of all parties and denominations; if a love of science and letters and a wish to patronize every rational effort to encourage schools, colleges, universities, academies, and every institution for propagating knowledge, virtue, and religion among all classes of the people, not only for their benign influence on the happiness of life in all its stages and classes, and of society in all its forms, but as the only means of preserving our Constitution from its natural enemies, the spirit of sophistry, the spirit of party, the spirit of intrigue, the profligacy of corruption, and the pestilence of foreign influence, which is the angel of destruction to elective governments…and, with humble reverence, I feel it to be my duty to add, if a veneration for the religion of a people who profess and call themselves Christians, and a fixed resolution to consider a decent respect for Christianity among the best recommendations for the public service, can enable me in any degree to comply with your wishes, it shall be my strenuous endeavor that this sagacious injunction of the two Houses shall not be without effect. United States Senate, Journal (February 8, 1797). Abigail Adams, To John Adams (February 8, 1797). John Adams, To Abigail Adams Smith (February 21, 1797). John Adams, To Abigail Adams (February 24, 1797). John Adams, To David Jackson (February 8, 1797). John Adams, To Abigail Adams (March 5, 1797). John Adams, Inaugural Address (March 4, 1797).